Gordon continues to have good conversation about fundraising as we look into how Mahabba can grow beyond the UK. For the moment, he is taking some well earned rest with his wife, Rachel! On the national, UK, stage, we are now up to about 45 groups with lots of new enquiries recently. A handful of them have resulted in groups being set up across the country, with a particular flurry in London. The Network Team of Regional Facilitators is also gearing up for a team day in August, which will be helpful for planning as we enter the busy Autumn period. The Hub has been busy with lots of things, as usual, but has been distributing leaflets for the new Friends of Mahabba initiative to all the coordinators of local Mahabba prayer groups. If you received one, do consider becoming a Friend of Mahabba! We've been encouraged by an enquiry in Carlisle recently, which is an area devoid of any groups at the moment. Elsewhere in the North West, there have been lots of encouraging stories of conversations with imams, Friendship First courses scheduled and even a BBQ for groups in the Manchester area! Equally, in the East, God has been working in the local Pakistani community. One local Muslim has been seeking Jesus in a big way and come to church. We're really praying and having faith for an overdue breakthrough among Pakistanis. Further south, there has been new growth in the Basingstoke-Newbury area, and one enquiry commented: ‘I saw on a recent shopping visit that there seem to be more Muslims in Newbury than in Basingstoke.’ Good then that a group is getting started! Also of note is a follow up event to the Mahabba training day that happened in Croydon. This is planned for November in Woking with the possibility of involvement from the diocese. Finally, we wrap up in the west region, where there is now a second Mahabba group in the Bristol area. So many encouragements - God is on the move! I woke up on Tuesday with my heart churning about Manchester. As a Mahabba team across the UK, we were respectfully remaining silent to give Manchester time to grieve and find a way to respond. However, it became so obvious that we could not remain silent: people were looking for a way to respond, and for someone to help them come to terms with this tragedy, as so many people are feeling numb. I so well remember that same numbness when I was an officer in the British Army and four of my soldiers were blown up senselessly in a radio controlled explosion in our first week of action. The shock was so immense that I never really processed that pain, and just locked it up inside. I do identify with those who are grieving and have suffered loss, so it is with some trepidation, and a feeling of humility and brokenness, that I am now writing. Right now, we are all facing a 'love challenge': will we choose to love sacrificially when nothing makes sense and our emotions are either totally numb or screaming inside? It's at times like this that we need to remember that people are never our enemy, whether Muslim or Christian, LGBT or straight, black or white... whatever the differences, everyone is loved and has been purchased by our precious Jesus, who gave His life for each one with no exceptions. My Bible says that love never fails, but, oh, how it hurts sometimes! This is the 'love challenge'! I remember just after the events of 9/11 that Muslims in the UK were terrified of being persecuted and so they gathered in large numbers in mosques to try to make sense of the events. I quickly sent a message to all the other pastors in my town, asking them to join me outside the local mosque after Friday prayers, so that we could press flowers into every hand as they came out, telling them not to be afraid: we were true believers in 'Isa Al Masih' - Jesus the Messiah - and they could count on us to be their friends. This was the love challenge – to respond in the opposite spirit, when our love tank was totally dry, and inside we were raging against Radical Islam; we had to choose to love the very people whose Holy Book had inspired such senseless carnage. Sadly, not one pastor turned up, due possibly to fear or anger, and I was left alone with five intercessors pressing flowers into every hand. This was the impact of one simple act of true love. That moment profoundly changed my life: learning to see behind all the veils and facades of religion, refusing to stereotype people, and actually feel God’s father heart of love for them. The seeds of this love for Muslims had been sown over several years as I went ahead of Reinhard Bonnke, as his Campaign Director, into many Islamic cities, believing that thousands would come to Christ. During our prayer times, we again and again heard the prophetic heart cry of God from Isaiah 45, that He would give us these precious Muslim people, whom He saw as “treasures in darkness”. Somehow we needed to choose to see Muslims as people just like us – but people who had become prisoners of an ideology which denied them the joy of living in the Light of God’s forgiveness and grace. It can be at any moment that we suddenly, even years later, are able to release the pain of those moments. For me it happened at the National Prayer Breakfast in the Houses of Parliament in London last year, as my heart was heavy after the news of the Orlando bombing. At the breakfast, unexpectedly all the memories of losing my four soldiers almost 40 years ago began to resurface: I listened to the Middle Eastern Bishop talk of the martyrdom of 21 courageous men from his Church being beheaded on the beach in Libya, and how he knelt down and then tweeted #fatherforgive. He then finished speaking, there was silence, and the band began to play. I cannot explain what happened next as I closed my eyes, but tears just flowed, and those years of locked up pain were released and healed… instantly! Only embracing the Cross at this time will enable us to respond well to the love challenge. Oh, how it hurts, but it is the only safe place to bring the kaleidoscope of emotions and reactions that we are all feeling. If you are struggling to make sense of the bombing and want to pray and talk through this with other Christians, get in touch. 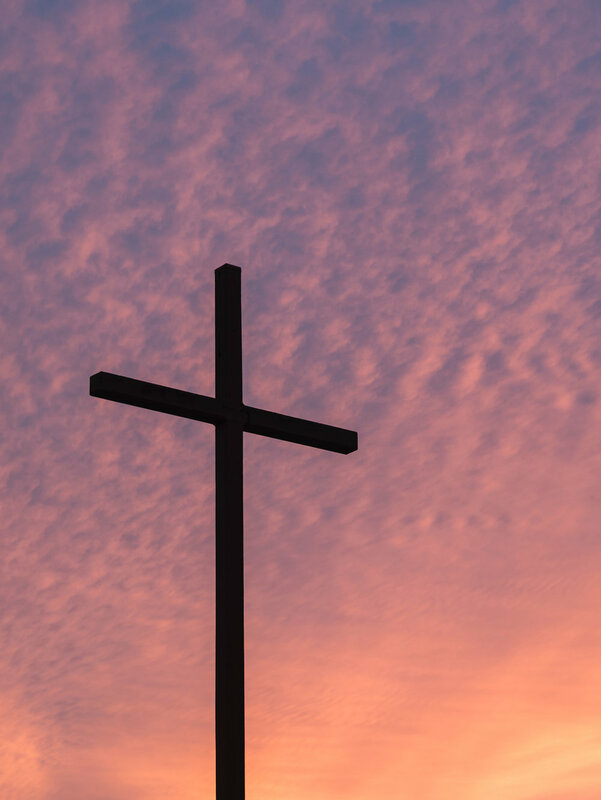 The message of Easter – crucifixion and resurrection is so familiar to us – we know the story – and sometimes in our familiarity the power of its potent mixture of loss and joy is missed. This year I wept at Easter – and it was through a retelling of the Easter story in much of the pain and power that would have been the experience of the followers of Jesus. We will all have heard of the attacks on the Coptic Churches in Tanta and Alexandria in Egypt this Palm Sunday. These attacks are not new at all but have become a depressingly regular experience for the Christians of Egypt. For generations they have endured the gauntlet of persecution ranging from unequal opportunity, ridicule, and shame to extreme violence – so in some ways nothing is new. However, what has perhaps become more visible over the years has been the ‘What Would Jesus Do‘ response of Egypt’s Christians to those that hate and violate both them and their faith. I watched the subtitled clip of a TV interview with the wife of the gatekeeper who died preventing the suicide bomber entering the church – thus saving the lives of countless worshippers. I have not witnessed on TV such a powerful message of forgiveness – offered, not under pressure, but as the natural overflow of an ordinary person trying to follow in the footsteps of her master. What followed was just as powerful – the response of the Egyptian news anchor, who, faced with the power of such supernatural love, went off script as he reacted in incredulity and awe at these Christians who “are made of a different substance”. I wept this Easter – to see this re-enactment of the Easter story lived out in our day. After all what is Easter but an offering, a sacrifice, an exchange – of good for evil, purity for putrescence, honour for shame, life for death. What is required? Is it more, prayer conferences, clever strategies, media projects or new methodologies? No, while these can be good things - all that is required is a sacrifice –one willingly offered. Ordinary Egyptian Christians are at the forefront of this sacrifice today, along with other unsung heroes from Pakistan, Iraq, Sudan, Iran, Indonesia and elsewhere – they are leading the way in sacrifice and forgiveness – and this seed will surely bear fruit. Such sacrifices are opening up the closed hearts of Muslims around the world – as illustrated so visibly by the news anchor! It seems there is no short cut to spiritual breakthrough – only a sacrifice is required. The power of forgiveness is illustrated so well in two places in the New Testament. Something shifts in heaven and on the earth when forgiveness is released. We see the Roman centurion reacting to the death of Jesus - “Surely he was the Son of God!” Later we see Paul, who was a witness and, some think, a party to Stephen’s death, encountering Jesus and turning from his murderous path. Perhaps it is not a surprise to see that later on it is Paul who becomes perhaps the world’s most effective missionary – and the Roman world to become the cradle of the Christian faith. We will see the fruit of forgiveness in the coming days in Egypt – of this we can be sure – but what wider significance will these seeds of sacrifice have for the future of the Arabic and Islamic World? in the UK – on a daily basis, living in a Muslim community. Though the work is not glamorous, or even exciting it is real. He demonstrates the reality of reaching out and some of the joys and challenges. Is Islam taking over the country? North of Birmingham, one of the most diverse cities in the UK, are small towns and places where very few Muslims live. Two of us had the privilege of spending a great evening with about 50 people wanting to hear about relating to our Muslim neighbours. They were a really friendly bunch, with great hospitality, and good humour flowed. What about Al Qaeda? Terrorism? The lack of opportunity to engage with Muslim neighbours, and seeing large Muslim communities that seem to be a block of people that are hard to get to know, are two key elements in this. In this setting, facts like the percentage of Muslims in the country and the Muslim responses against terrorism are important, but not all that’s needed. To go further we need to point to opportunities for actually getting to know Muslim neighbours. Or, where that is not practical, to show positivity about our own relationships. One of Mahabba’s sayings is 'face the facts, don't fuel the fear'. We need to feed that back to those people in areas of the church who don’t have opportunity to get to know Muslims and help set the tone of love and grace. Do you want to find out more about Islam and Muslims? Request someone from Mahabba to come and speak at your church. I remember whilst travelling in Israel/Palestine many years back arriving in a town at night. We were travelling by car, two of us, looking for somewhere to stay. We asked a local for directions and ended up being invited to his home, where we were welcomed and given food and somewhere to sleep. We also got to meet his family the next morning over breakfast. This incident had a profound effect on me, as I was on the receiving end of what has been called the ‘kindness of strangers’. This is something I, like many others, have experienced frequently as I travel. This is also the chosen title of journalist Kate Adie's autobiography. In ‘Cool Britannia’ we can be somewhat slower in offering hospitality. And it seems that, post-Brexit, incidents of Hate Crime are increasing, as reported in the Independent recently. Xenophobia is on the rise in Britain (literally the fear of the stranger/foreigner). The answer to xenophobia is to respond in the opposite spirit – ‘philoxenia’ which is the Biblical (Greek) term for generosity or hospitality. It literally means love of strangers and foreigners. My new passport just arrived in the post. Time for a trip. Perhaps a long haul destination, maybe a sunny beach to top up my tan, I guess would even consider a cultural/historical tour. Probably not a cruise though! I didn’t need the shiny new passport for the train ride to my friend’s house. After eating, a game of Monopoly, and a couple of hours in bed I was ready for the off by 5:30am. A few hours down the road and we joined another friend and continued together. What destination was worthy of the new passport and early start? Here’s a clue… it’s a place that many of my friends have been through, somewhere that has often been in the media, a well-known location although no one wants to stay. It’s a place that over 10,000 called home until a few months ago. Now a home to none, although police still patrol the area. Welcome to the Calais Jungle! Running next to the road we could see the fence that cost millions to build. We visited a warehouse that sprung up in 2015 as a response to a Facebook appeal. From then on volunteers have provided clothing, sleeping bags, wood for cooking as well as meals for those in The Jungle. Since the dismantling of The Jungle the size of their work has downscaled, but they are still helping those in a nearby camp of Dunkirk. The energy, enthusiasm and commitment of the volunteers was inspiring. They continue to grapple with difficult questions such as how to assist unaccompanied minors returning to the region yet not to be seen to be encouraging others to return. Later we arrived at the site that was once home to 10,000. As soon as we alighted from the car a van full of police descended to ask if we were journalists. Hardly anything remains at the site. Empty cardboard boxes, spent tear gas used to disperse residents, first aid points, and white shipping containers used to house the most vulnerable. where asylum seekers could be carried before being met by the emergency services who were afraid to enter. It was strange to see some of the graffiti that I was so familiar with from the media. Other graffiti spoke of people’s desperation and challenged inactivity. After surveying the ghostly site we met up with a local Catholic group who welcome asylum seekers. One of the group whom had been making a documentary tracking different individuals progress, another was a long term volunteer who had spent many years cooking for hundreds of people. A couple of refugees acted as our interpreters as our school French was rather rusty. A trip through the Channel Tunnel, Tube across London, train ride, and half an hour walk and I was home. Travelling with that new passport was easy. How much easier was my onward travel than many of those who have had prolonged stays in the Calais Jungle. Islam in church, the sacred space and interfaith is a divisive topic. By opening up the discussion here, Mahabba Network is seeking to help Christians to pause, consider the facts and pray before commenting. We trust that as you read you will weigh Scripture and invite the Holy Spirit to bring you discernment in the issues. Mahabba seeks to make space for those who are more interfaith and ecumenical-minded as well as the evangelically-minded who want to see Muslims discipled to Jesus. Mahabba’s vision is to see Jesus unveiled to Muslims, but we believe that dialogue and understanding of ‘the other’ are important on that journey. The two are not mutually-exclusive, but it does mean that there is tension in holding both together. How do we think about church space, nevermind Islam in church: is it simply a building that homes us while we join together for communal worship, so that we may even meet in a school and call it ‘church’? To what extent do our churches belong to the community as a whole – whether they’re Christians or not – so that they may visit and learn about our Christian history? Is the church the house of God in the sense that we all may enter but only the sanctified may express themselves? This January saw two events where Islamic presentations took place in a church space, causing uproar and raising some of these questions again. First there was the Qur'an reading at an Epiphany service in Glasgow and then there was the adhan at Gloucester Cathedral. There has also been controversy surrounding Rev Giles Goddars and St John’s Waterloo where a progressive Muslim group was invited to use the St John’s space. On January 14, I visited the launch of an art exhibition at Gloucester Cathedral by a self-proclaimed atheist artist. He had painted 37 huge portraits depicting people of different faiths, explaining that he had become intolerant of ‘religious people’ and this project was his way of connecting with people of different persuasions: Buddhist, Christian, Jewish, Muslim, Rastafarian, Wiccan and others, so that he may understand them better. I don’t usually attend these kinds of events, but had a personal stake in this one. My friend, a Muslim, was the subject of one of the portraits. The launch promised a variety of demonstrations by different religions, and of course, there was food. The portraits were placed around the cloister walls and the launch events took place in the Chapter House, a side room off the cloister area. I only stayed long enough to hear the Jewish Klezmer band, the Buddhist meditation and the Muslim call to prayer, adhan. I missed out on the fire-eating vicar and the pagan rock band. Sadly, neither I nor my Muslim friend were surprised the next week when local papers reported that the cathedral had removed a video clip of the adhan from its Facebook page because it had attracted abuse. The cathedral attracted further criticism and the issue then made the front pages, was reported on regional BBC TV news and went national. Rather than revealing something about the state of Christendom in Britain, it says something about us as a media-consuming public when the Muslim call to prayer is singled out from a list of other religious expressions to make headlines. I was certainly glad that I had a long established relationship with this same Muslim friend in Gloucester so that we could continue meeting the next Saturday, where we reflected on the comfort promised to us in Psalm 121. Our friends at the Pfander Centre had an interesting perspective on the reading of the Qur'an in church. Here are a few points, and do read their blog in full. If we believe the Bible to be God’s word, why is the Qur’an given the same status as the Bible, when it teaches the opposite of core Christian doctrine? Do you want to find out more about Islam and Muslims – request someone from Mahabba to come and speak at your church. We welcome comments and discussion, but please read our Comments Policy before posting a reply in the comments section below. Can a person find God in Islam? Can a person find God in Islam? A reflection on what it means to Mahabba to know God in an intimate and personal way, in light of the Wheaton College controversy – do Christians and Muslims worship the same God. In the aftermath of the Paris attacks of 13 November 2015, western nations rallied around the French people in an outpouring of sympathy. The French tricolour was superimposed on Facebook images, projected onto state buildings in many countries and #prayforparis trended for a considerable amount of time. Together with these technological ways of expressing solidarity, several nations stepped up their military involvement in the Middle East and ISIS became the target of one and all. The British parliament voted in favour of extending bombing campaigns into Syria with the argument that, “Paris could have been London.” All the historical differences and squabbles of the last couple of decades were forgotten; President Obama declared that France was America’s oldest ally despite the recent differences between France and the USA on the Iraq war. I was reminded of how we can differ on basic ideas that we take for granted in a recent seminar by Ravi Zacharias of RZIM ministries. Ravi was making the case that western ideas of freedom are ultimately based in biblical ideas but that freedom took different paths in western countries. He spoke of three enlightenments: the French, the English and the American. Quoting from Gertrude Himmelfarb’s book, The Roads to Modernity (2004), Ravi listed eight things we associate with enlightenment: reason, rights, nature, liberty, equality, tolerance, science and progress. Out of this list, Reason usually tops the list for the French (and for modern secular society). The missing element from the list is Virtue which, for the British, was an essential part of enlightenment according to Himmelfarb. The British did not deny Reason but they gave it a lesser, contributory role to the qualities of compassion, kindness and sympathy, she says. The most important difference between these two enlightenments is in the French rebellion against the church and the monarchy, summed up in the French philosopher, Denis Diderot’s wish to, “Strangle the last king with the last priest’s entrails.” As Ravi explained, the difference for both Britain and America was that religion was not the enemy. In Britain, social virtues were the driving force of political change. In America, the fight was for political freedom still based in upholding religious values, even though it was against monarchy. The point here is not to emphasise differences between people, nor is it to have a sense of complacency about freedom of religious expression on the Atlantic side of the English Channel, or La Manche as it is called in French. Recent law suits and debates about religion in public life have shown that Anglo-American society is rethinking what it means to be secular. The aim of looking at the different expressions of enlightenment here is to think about our social values and which Light we are following in the world: To what extent does the light of the Word (Proverbs 6:23) and the Light of the world (John 8:12) form the foundation of our thinking? In Matthew 5:14, Jesus says definitively that we are a light to the world. The question is, which en-Lightenment will we reflect to the world in the year ahead. ... we have recently reached a total of 40 local Mahabba prayer groups in the UK - awesome news! With your help, though, we would like to continue to sow, plant and support Mahabba groups. Our work involves a small team of regional reps and central hub personnel investing in local coordinators and groups, as well as spreading the word. To continue this vital mission to Muslims, we need to increase our regular monthly income. Our initial target is to raise up 100 individual regular donors, giving an average of £10 to £15 per month. Could you be one of the 100? Ted writes a hard-hitting post about the challenges former Muslims face and how Christians can stand alongside them.